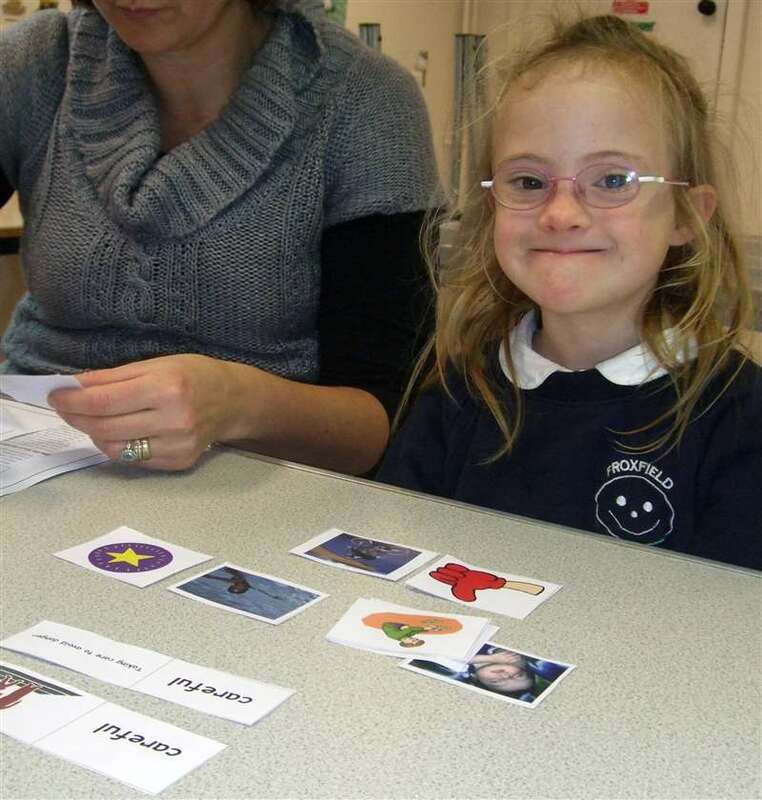 This online course is designed for experienced teachers, educational psychologists and speech and language therapists who wish to provide training and support to schools implementing the Reading and Language Intervention for Children with Down syndrome (RLI). The Reading and Language Intervention for Children with Down Syndrome (RLI) is an evidence-based program designed to teach reading and language skills to children with Down syndrome. Evaluated in 50 schools in a randomized controlled trial, the intervention is designed to be delivered by teaching assistants in daily one-to-one sessions, supported by the class teacher and school SEN specialists. Although many schools implement RLI successfully using the intervention handbook, some seek additional support and training for their staff. In some areas, Down syndrome support groups provide additional support and training for schools. In other areas, learning support services have developed expertise supporting schools. This online course is designed for professionals who wish to provide accredited training and support for RLI. Professionals who successfully complete this course can choose to enrol as accredited trainers who may use DSE-supplied training materials and can be recommended to schools and groups requesting training and support in local areas. The course includes 4 modules, each of which includes a video presentation, handouts and an assessment. The video presentations can be viewed, handouts downloaded and assessments completed at any time. In addition, course participants are invited to join an online discussion forum with DSE tutors for the opportunity to ask questions and seek additional advice. Course participants should plan to spend a minimum of 12 hours studying to complete the course and assessments. The course is accessible to eligible participants in any country. A computer with a modern web browser and a reliable Internet connection sufficient for streaming videos is required. Please refer to admission requirements below. The evidence base of RLI - This module first reviews the research into reading and language development and effective interventions on which the RLI intervention is based to ensure trainers can explain the design, structure and content of both the reading and language strands of the program. It then reviews the RLI research study design, data collection and findings to ensure that trainers understand the research and can explain and answer questions about the evaluation including the RCT and subsequent phases of the study. It also considers recent evidence for best practices in making full use of teaching assistants/aides/paraprofessionals in schools. Delivering training and supporting schools - Summarizes the key features of RLI that should be understood by anyone delivering RLI. It then discusses how to deliver the training and how to provide ongoing support to schools as they implement RLI. It includes discussion of how to resolve the common issues that arose for children and educators during the two years in which the research team worked with schools implementing RLI. These might be issues relating to the progress of individual children or to the needs of educators as they build their confidence and skills. Participants then spend time reviewing the slides they will use to deliver training and consider how they will present them. Further developing phonics, reading comprehension and language - Extends the basic RLI training and provides guidance on implementing two further structured interventions developed and piloted by the RLI research team after the main study. Each addresses an aspect of reading that tends to lag behind the children's word reading accuracy. The first is a step-by-step program to teach children how to use their letter sound knowledge to blend and decode words making use of their visual learning strengths. The second is a program of activities to develop reading comprehension. The comprehension activities can also support narrative language development. What have we learned since 2012? - Reviews international research into reading and language development and interventions with children with Down syndrome published since RLI was developed and evaluated. It aims to bring trainers up-to-date with work in this field and to discuss how the new studies inform and support the RLI approach to improving language and reading. This module also discusses the feedback received from schools and educators rolling out RLI in several countries since 2013 and how we may apply this feedback to supporting schools and school districts. It concludes with discussion of what is needed to further support schools and ways this might be achieved as trainer networks develop and are supported by DSE. This course is for experienced teachers, educational psychologists and speech and language therapists who wish to provide training and support to schools. We will consider applications from individuals without these formal qualifications if they have relevant expertise on a case by case basis. In order to enroll on the trainer course, you must have successfully completed the RLI educator training online or at a course delivered by a DSE accredited trainer. Before ordering a place on this course, please contact us at training@dseinternational.org with your CV detailing professional qualifications and experience, experience of working with children with Down syndrome of primary school age, and any experience of implementing RLI and experience as a trainer. Please do not order until we have confirmed that you have been accepted onto the course.